You only get one set of eyes, so protect them! I’ve rounded up five of the best safety glasses for woodworking that will keep those peepers safe. Welcome back to another Workshop Wednesday! If you’re just joining me, you can see all the other posts in the series here. This week, I’m talking about the most important equipment in the workshop: safety glasses. 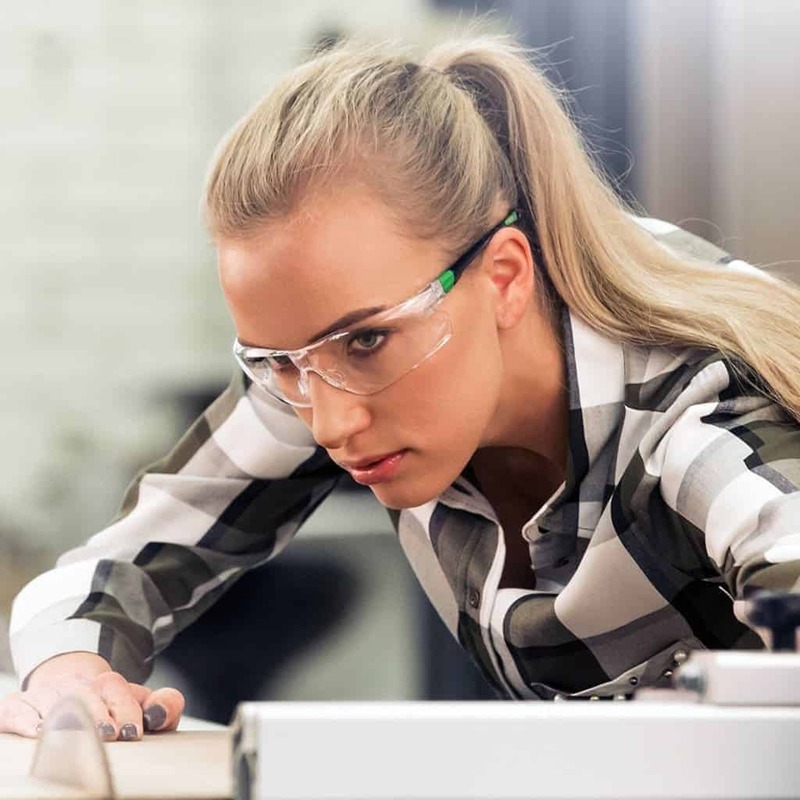 There are tons of options on the market, but I narrowed it down to the best safety glasses for woodworking to help you decide. Something went flying up and smacked me in the eye! Luckily, my contact lens and lower eyelid seemed to have taken the brunt of the impact. 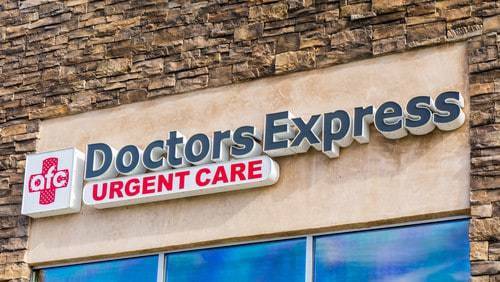 I walked away with a torn contact lens and really irritated eyeball, but my vision was fully functional. I had it checked out at urgent care and came home with antibiotic eyedrops and a stern lecture about wearing safety glasses AT ALL TIMES when woodworking! Previously, I had a cheap pair from Harbor Freight that were all scratched up and fogged over every time I breathed. As a result, I only wanted to wear them when absolutely necessary. I knew I needed to upgrade to the best safety glasses for woodworking I could find so wearing them was no longer a hassle. These are the ones I purchased, and so far they’ve been great! I liked that they were clear, anti-fog and scratch resistant. Good visibility means I’ll keep them on face even if I don’t need them. I’ve actually walked out of the house with them still on! They’re also adjustable, both on the sides and the nose bridge, for a perfect fit. I bought two pairs, so there’s always one within easy reach! These are great safety glasses for every woodworker’s least favorite chore: sanding. The foam seal keeps dust out of your eyes. In addition to the anti-fog surface, there are also ventilation channels to keep your vision clear. These will fit over prescription glasses, too! Need to wear bifocals to see those tiny lines on the measuring tape? These safety glasses have built-in bifocals! Just pick your prescription and you’ll be able to read everything in your workshop clearly. 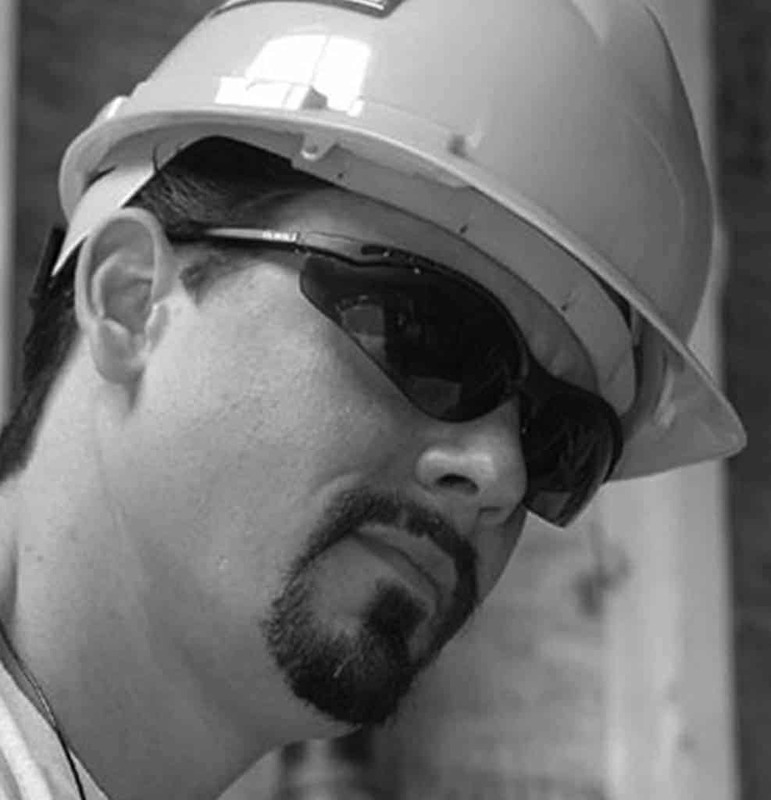 Not only do the Pyramex Venture II safety glasses look cool, but they also protect your eyes from the sun and debris at the same time. If you do any work outside, whether it’s woodworking or weed whacking, you should pick up a pair of these. 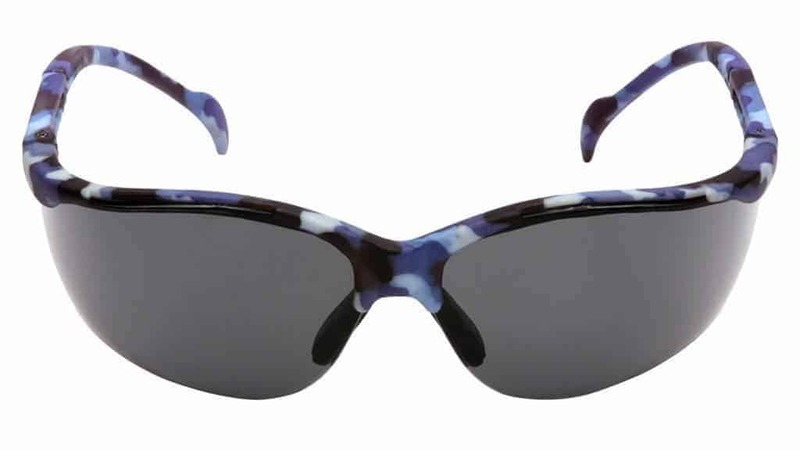 They come in a variety of colors and patterns, so no one will even guess they’re safety glasses! 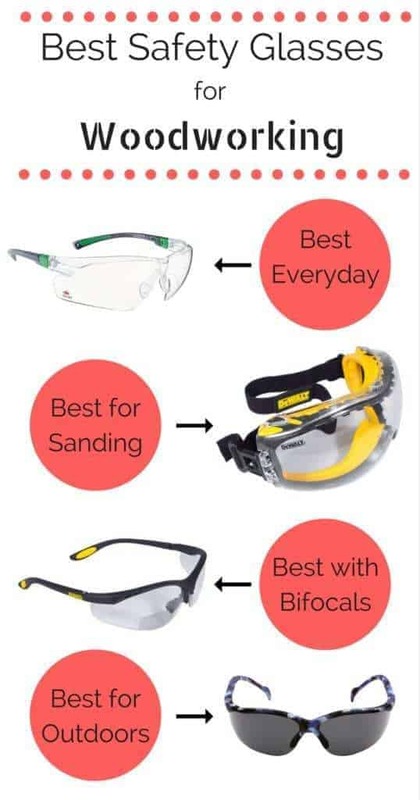 I hope this helps you choose the best safety glasses for woodworking. Don’t forget to protect those peepers! Yikes, I’m so glad you weren’t seriously injured. Our vision is so precious. Thanks for all the great tips! I’m in need of the ones that fit over my glasses. I was using the jigsaw and sanding yesterday and had dust in my eyes the entire time. 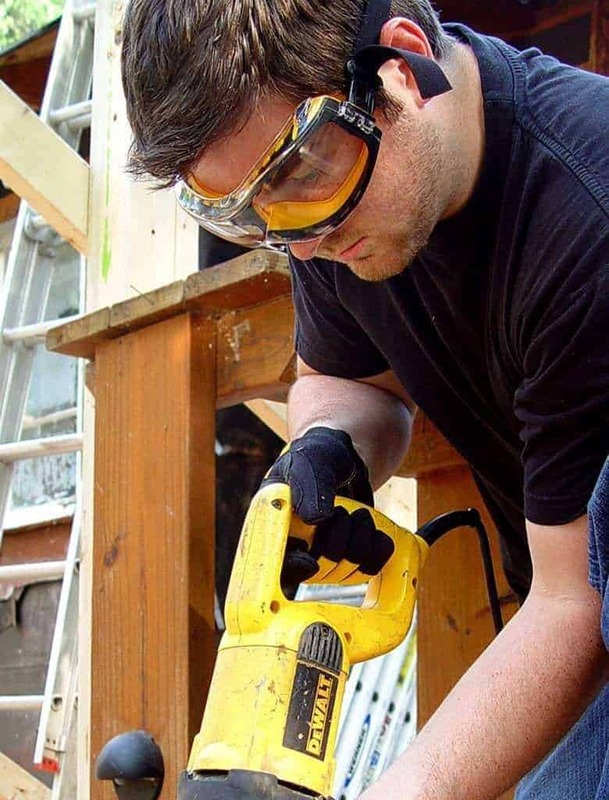 The Dewalt ones I recommended for sanding fit over glasses. I had to pick up a pair to go over mine while my eye was healing and I couldn’t wear contact lenses. Thanks for the guide. I feel you should also have mentioned about the fashion aspect. I know one is looking to get the work done but I feel that you should also look good when woodworking. Absolutely! The UV safety glasses I recommend also come in clear for indoor woodworking. They have a variety of fun frames to choose from! Hello, I agree with you. We should always wear safety glass with UV protection either on the road or while being engaged with risky work like sanding, wooden work and everything you explained. These will fit over prescription glasses, too! Thank you for sharing such a wonderful blog. They look great! Thanks for sharing with SYC. 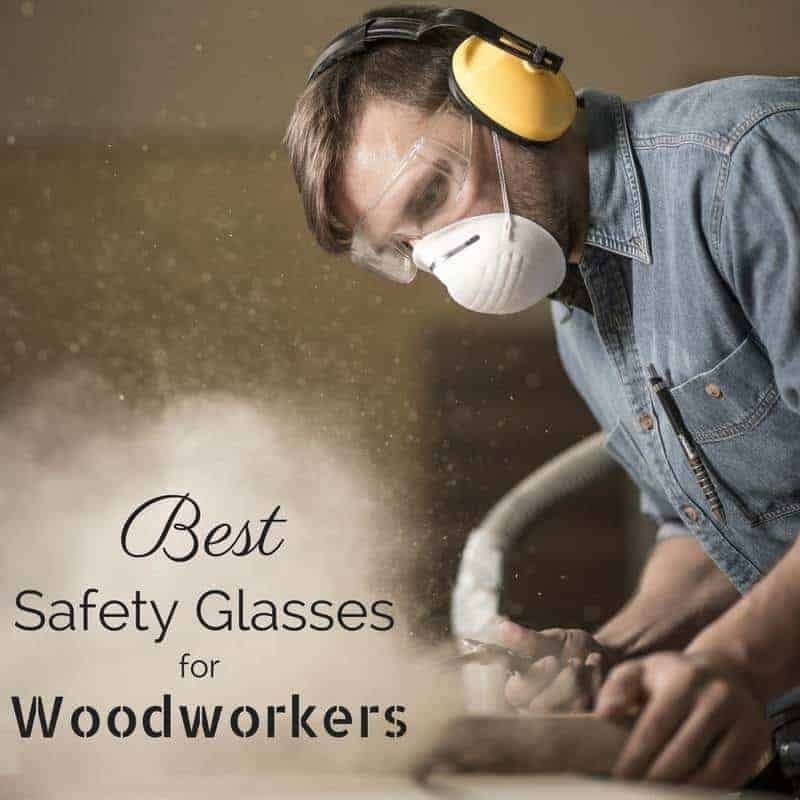 Thanks for this advice for finding good safety glasses for woodworking. You mentioned that you got ones that had anti-fog on them. This seems like it could be worth getting especially if it can help you see clearly as you are working on a piece of wood.